You who happen to use the Blackberry as a means of communication, here are some information secret codes that you've probably never know. These codes may work in an emergency or even want to know the content or what was done (log) will be indicated by displaying the log report. While not all types of Blackberry support the code, but most can. But to consider if you're unsure, do not try before there is a backup, because I am not responsible if any damage. • Function: Indicates the signal strength in dBm (not the 'trunk'). • function: Check the data inconsistencies in the address book. • function: Reorder the data structure in the address book. • Functions: HH soft reset it, similar to 'pull the battery'. • Function: Indicates important technical info about the HH. • Function: Indicates the handset IMEI code. 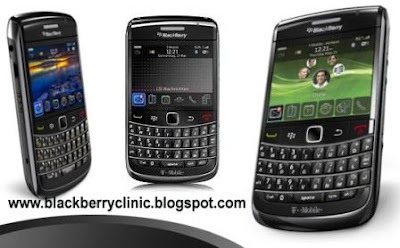 As you know, to reset the blackberry is the first step taken to overcome problems in Bblackberry. Here are some types of RESET BB. 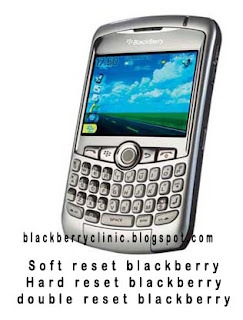 Hard Reset blackberry, blackberry Soft Reset, Double-blackberry soft reset . 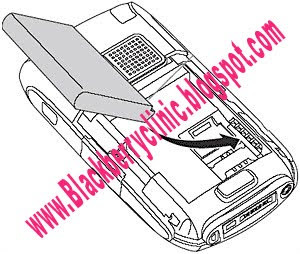 Usefulness of each reset varies ..
Double-soft reset will stop all applications on the BB and almost the same as doing a hard-reset. Noteworthy is his timing. Perform a soft reset as the number 1, the screen will be blank .. now is not a black screen, press ALT + Right Shift (CAP) + DELETE again .. The screen will blank again, and hold an hourglass will come out .. wait until the blackberries ready again. to perform a hard reset is easy: Disconnect battery 30 seconds, plug it in again. BB will boot from the beginning. Hard Reset is the first step if there is a problem in the network, software or hardware. 1. Detach the battery pack from your handheld. Refer to "To uninstall the battery pack" on page 9 for instructions. 2. 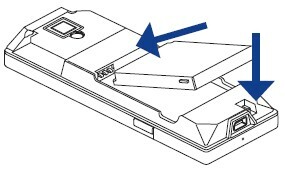 Slide up the hard reset switch located on the right side of the battery bay (a) then slide it down again (b). 3. 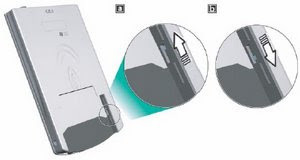 After resetting your handheld, reinstall the battery pack in its bay. Refer to "To install the battery pack" on page 8 for instructions. Restart your phone when a program is not performing properly or the phone is not responding to any keypresses. 2. 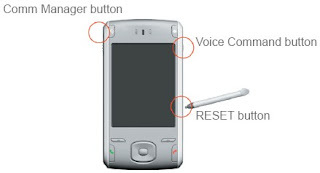 Follow the on-screen instructions to reset the phone. The phone will restart after it has been reset. 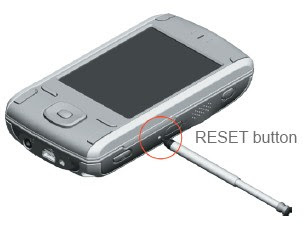 A soft reset will restart your Treo smartphone. This comes in handy if your device freezes, crashes, shows an error message, or exhibits unexpected behavior. This type of reset does not delete your personal data or the applications you've added. 1. If charging, disconnect your smartphone from its charger. 2. 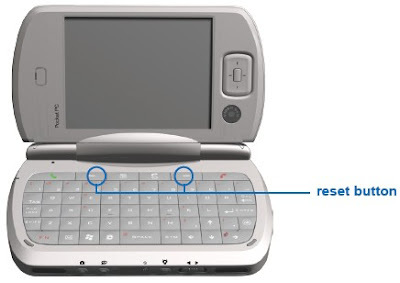 Turn off wireless mode by pressing and holding the red Power/End key Palm Treo 700w Hard reset Soft reset. 3. Turn off the screen of your smartphone and wait a few seconds¹. 4. Take off the battery cover, then remove the battery for approximately one second. 5. Re-insert the battery and replace the cover. If a soft reset doesn't solve your problem, you may need to perform a hard reset, which deletes all data on your device, including Outlook information and add-on applications. Before performing a hard reset, please read the section below regarding what data is backed up during an ActiveSync synchronization and how to restore your data. 1. A hard reset deletes all information and third-party software on your smartphone. 2. Never perform a hard reset without first trying a soft reset. 3. You can restore previously synchronized information the next time you sync. 4. Some third-party applications do not create a backup on your computer when you synchronize. If you perform a hard reset, you may lose data in these applications and you will need to reinstall the application after the hard reset. Please contact the developer to find out which data is backed up during synchronization. Why perform a hard reset? A hard reset can tell you whether a persistent problem stems from your smartphone or from an application installed on it. If you do not experience the problem after you perform a hard reset, the problem may be related to software you installed. 2. Take off the battery door, but don't take out the battery yet. 3. Press and hold Power/End Palm Treo 700w Hard reset Soft reset. 4. While holding Power/End, remove the battery for approximately one second, then replace it while still holding Power/End. 5. When you see "Erase all data?" you can release Power/End. Press Up to confirm the hard reset. 6. If a language selection screen appears, pick the same language you use in your desktop software. to its initial state—the state before you turned on the phone for the first time. Important Make sure to back up important data you have on the phone before you perform a factory data reset. 1. Press HOME > MENU, and then touch Settings. 4. On the Factory data reset screen, touch Reset phone. If prompted, enter your screen unlock pattern, then touch Erase everything. Tip If your phone hangs or freezes, remove the battery, then wait for a few seconds, and then re-install it. After re-installing the battery, turn on the phone.